An intriguing fact that has been discovered in the past decade is that at least half of the 11 most distant stars in our galaxy are far from the spiral disk of our Milky Way. Latest publications along with topics about Milky Way. Find out about mysteries, stories as well as useful advice in regards to Milky Way. See the latest write ups along with articles in regards to Milky Way. Dozens of runaway stars cut across our Milky Way galaxy. 80 of them will be subjected to thorough observation with the infrared telescope WIRO, located in Wyoming. The Milky Way galaxy is found in the Laniakea supercluster, which translated from Hawaiian means immeasurable heaven . The galaxy supercluster was unknown to scientists until now. British scientists have managed to measure the weight of the Milky Way. It turns out that the mass of our galaxy is equal to half the mass of Andromeda - the galaxy neighboring our Milky Way. 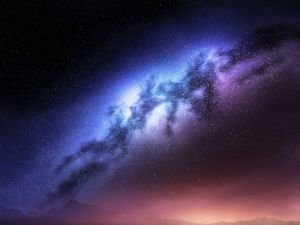 Two newly discovered stars, spotted in one of the farthest corners of the Milky Way, provide new information about the edges of the galaxy containing our own solar system. Astronomers from the University of Wisconsin-Milwaukee have spotted a white dwarf type star, whose temperature is so low that it has managed to turn its carbon mass into a real diamond. The M82 Cigar Galaxy, located 12 million light-years from Earth, was shaken by a powerful supernova explosion. Experts have labeled it as a Type Ia supernova, which occurs in binary star systems of a white dwarf and red giant. After 12-year studies of the massive stars, American researchers confirmed that the Milky Way has a 4th spiral arm. It is believed that there are also remains of dwarf galaxies found in the Milky Way. Maya is one of the smartest and progressive civilizations born on Earth so far. It is described that on December 21st the sun will rise to the center of the Milky Way, listed as a black hole. How Do We Increase Our Self-Confidence?